When you combine cooking, eating and relaxing areas, that means the person making dinner isn’t shut away on their own – they are all spending time together, even before the family sit down to eat. It will open up your space and add extra counters, shelving and cabinets with kitchen carts. A kitchen island with seating also provides a place for your family to sit, eat and socialize. More countertop space, more storage space – who couldn’t use a little more of both? Our selection of kitchen islands and trolleys can give you the extra space you need without the expense of a remodel. Choose one with wheels for a mobile solution you can roll anywhere you need it. 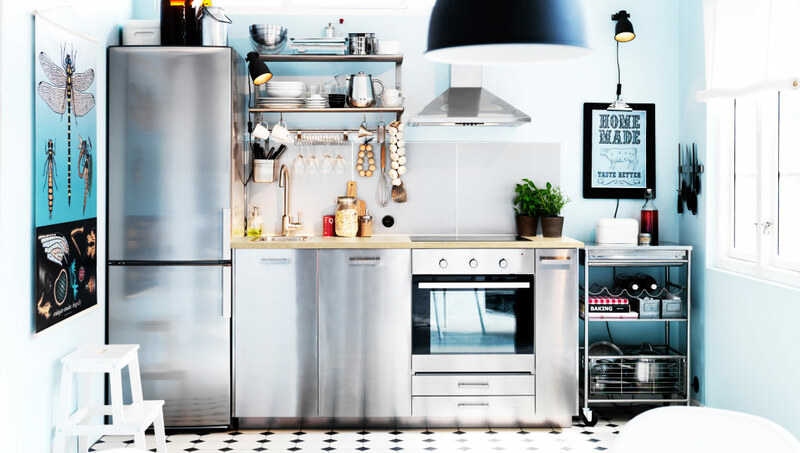 They make a great addition to smaller kitchens that might not have room for a typical island as they can be shift aside when more space is needed. They cost less than a permanent island, as well. It doubles the functionality and flexibility of the kitchen. Decide what you want to keep in the trolley, and plan the space accordingly. Upright steel planks provide perfect spots for heavy stuff. Get deep shelves for platters and small cubbies for towels and other items. The best parts of these trolleys are that they felt like furniture, not cabinetry. If you go for glass case, cabinets then light can shine through it while opening up the small room and glinting off the glasses and dishes inside. You can organize your kitchen cutlery with rectangular compartments rather than spoon- and fork-shaped compartments as wide-mesh chrome drawer trays works very well for this king of storage. Multi-purpose trolleys can also work as a stove side organizer. Whether you use one crock or several, it’s wise to have essential tools in arm’s reach when you’re at the stove. You can keep ladles, whisks, pastry brushes, wooden spoons, and flexible spatulas in separate containers. A cart provides storage where you need it. You can use it to keep the tools for cooking. A small freestanding island on wheels can serve the same purpose and is especially useful in a tight kitchen. It can work as a work surface and a casual sideboard. In fact by adding a custom-cut marble top, a rolling cart can also be used as a bar when entertaining. You can also use the rolling cart to keep various salts and often-used spices. A pinch is easier to gauge with fingers or a spoon than it is with a shaker.